Upworthy is a media website with a mission to drive massive amounts of attention to important topics. Every day, their curators scour the web to find compelling, meaningful stories — including videos and graphics — to deliver to readers around the world. As of December 2014, Upworthy engages around 50 million people each month, and encourages them to share what they read with family and friends. Upworthy needed a way to scale their infrastructure to support the surge in traffic that made them the “fastest growing media site of all time.” They knew that using a more transparent, customizable CDN that would enable them to publish new content in real time and shield their origin from viral traffic spikes was critical to their success as a popular media site. Upworthy chose Fastly after learning how GitHub used it to effectively scale their infrastructure, and because their team needed a modern, flexible CDN. 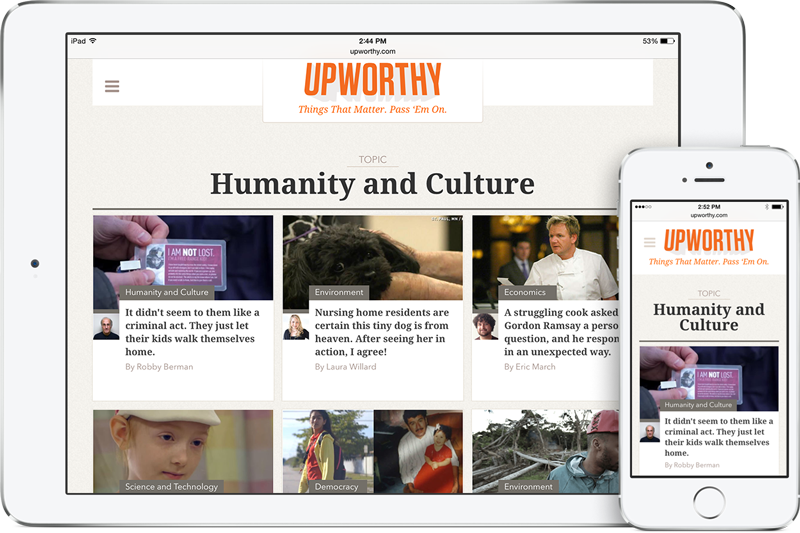 As a rapidly growing media site, Upworthy needed to get up and running on a CDN quickly. Because Fastly makes it easy to self-provision, Upworthy’s team could make changes themselves through the developer-friendly and intuitive UI without needing to engage professional services to migrate. When Upworthy wanted to implement more custom and complex features, they contacted Fastly support, which they found responsive and knowledgeable. Fastly is the only CDN built on Varnish, a web accelerator for dynamic content that enables intelligent caching and allows customers to push application logic normally performed at origin to the edge. On Fastly, Upworthy can write and instantly deploy Custom Varnish Configuration Language (VCL) to suit specific requirements, such as serving slightly outdated content instead of an error in the event of an origin outage, ensuring a better experience for readers. Upworthy had never used Varnish prior to Fastly, but the team now writes their own VCL to further customize their content delivery. Upworthy publishes stories that receive massive amounts of attention, so the team needed to be able to update content quickly while maintaining consistent performance for their readers. On Fastly, Upworthy can deploy updates in milliseconds, so readers always see the freshest content. Fastly’s Origin Shield lets Upworthy designate a single point of presence (POP) to receive traffic, protecting their origin when an article attracts a great deal of traffic. Fastly’s surrogate keys allow Upworthy to group different objects together with a single key — for example, all articles, authors, and topics related to “Environment” — and expire them all together with a single API call instead of purging individual URLs or purging the whole site. This way, Upworthy can purge stale content more intelligently and efficiently, providing the most up-to-date content without overwhelming their origin servers. 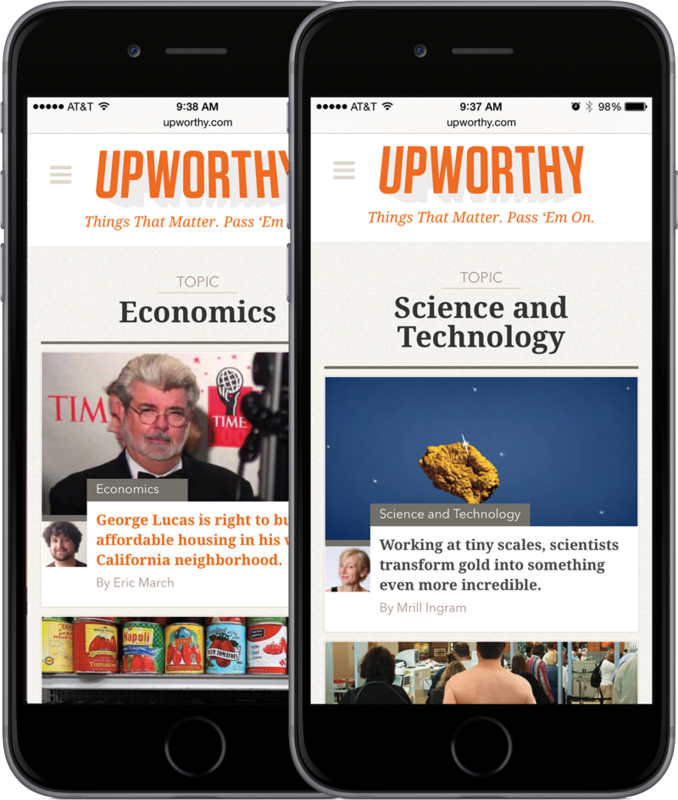 Fastly improved Upworthy’s performance on mobile and desktop while allowing them to scale with a leaner setup. By serving the most-requested static assets from the edge instead of the origin, Upworthy is shielded from traffic spikes and their readers experience less latency. With Fastly, Upworthy can serve their readers the freshest content while improving overall site performance. 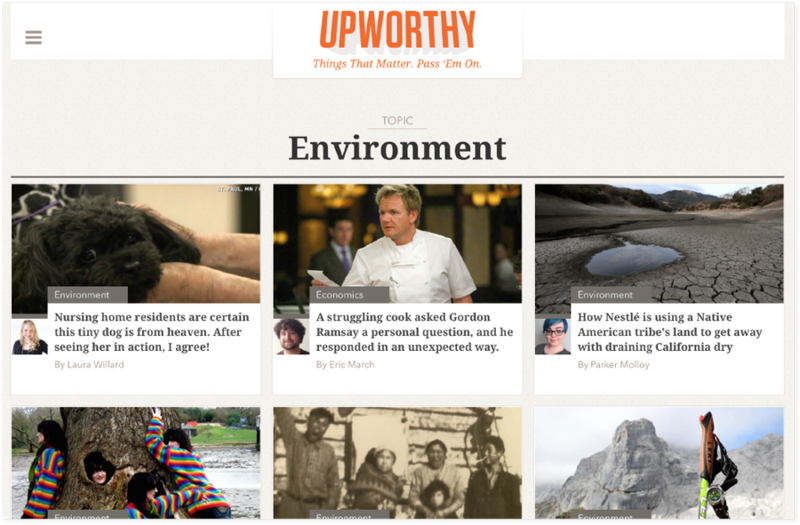 Upworthy uses the Fastly Dashboard and streaming logs to monitor performance in real time. Upworthy hosts entirely on cloud-based services, and the ability to view Fastly’s stats alongside other cloud providers gives their team a holistic and real-time account of site health.